The other kids in class warned me about the “all day sanding” day. Today was that day. 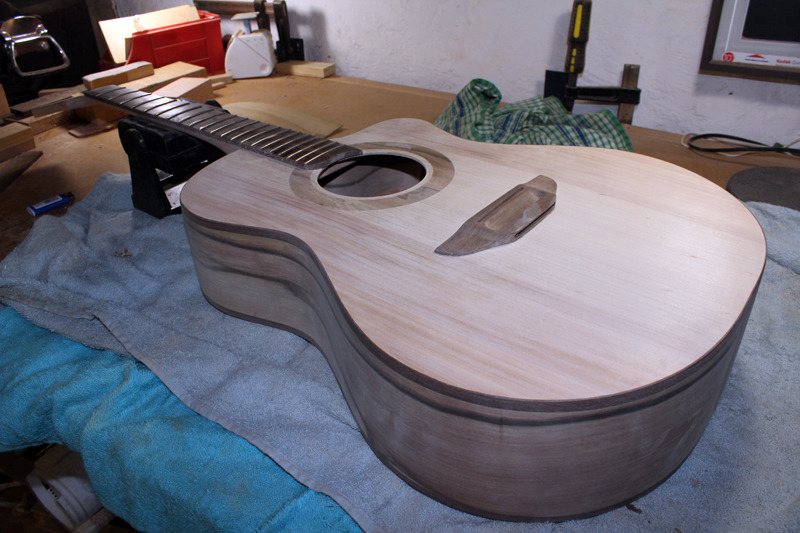 My guitar is a point now, where I need to sand out all the markings, blemishes, lumps and bumps, and prepare the guitar to be oiled. So I spent most of the day sanding. 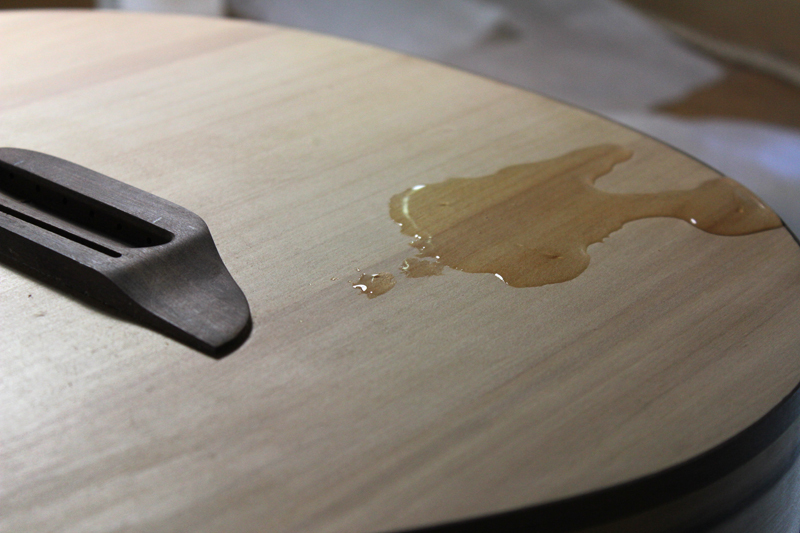 Sanding and sanding. Much of the time I used 120 grit sandpaper to strip the lumps away without changing the shape of the guitar, or wearing through the sides of the guitar. I went over the entire body. 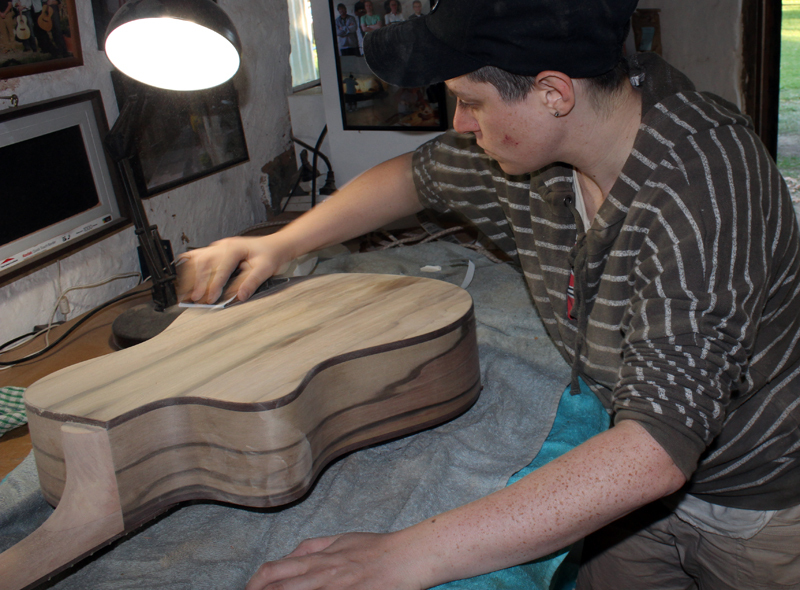 Guitar making is a bit more domesticated than I realised – hair dryer, iron… But the iron works like magic in getting out dents. 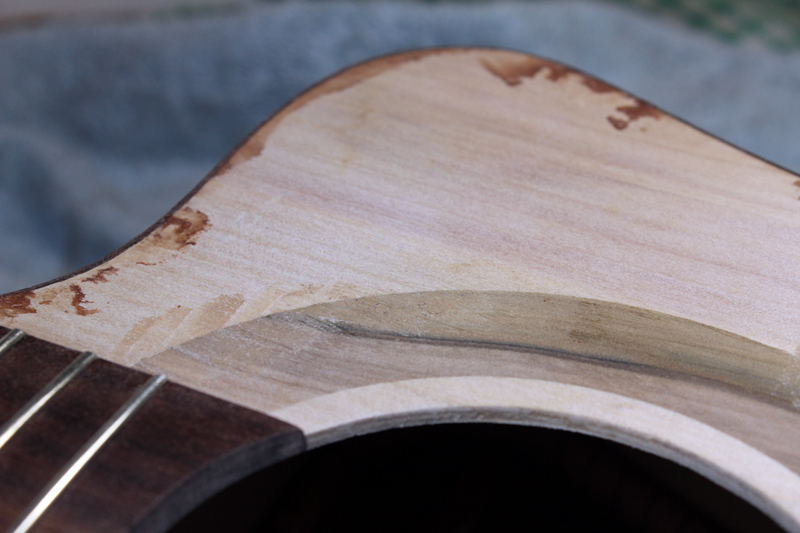 I had knocked my soundboard here and there during the making process, and as Bunya is such soft wood, it’s left little dents in the soundboard. The way to get them out is to pour a bit of water around the area of the dent, place a piece of baking paper over it, then press a hot clothes iron over the top to dry it out. Magically, the dent is lifted as the wood expands. I filled in some gaps to prepare the surface for the final sand. 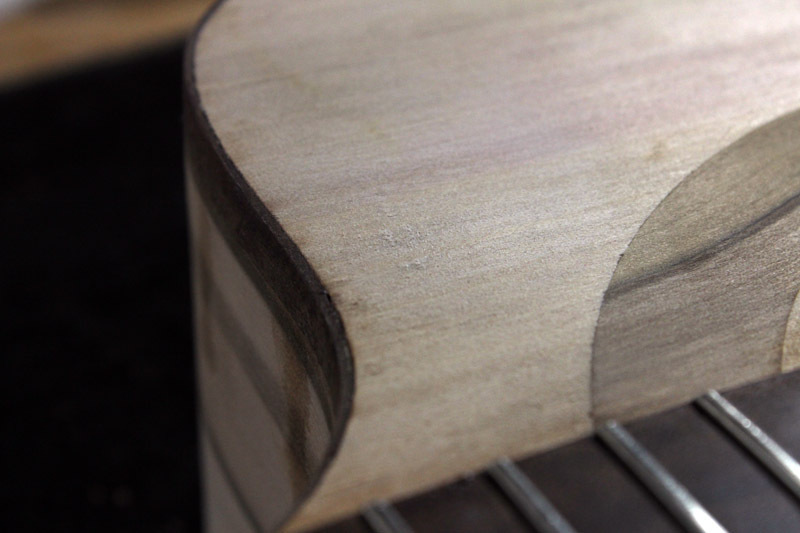 Although I have done this already, the gaps were slightly visible as the sawdust-glue-mix dried and shrunk. So I created more sawdust paste (glue and saw dust) out of gidgee, and another out of sassafras, and another out of Queensland maple, and filled the gaps. I worked my way through the sand paper gauges. I next used 180 grit paper, followed by 240. And with every new level you sand with, the guitar just gets smoother and smoother. 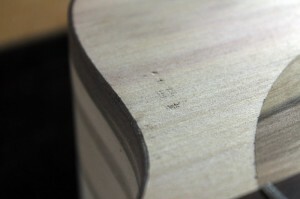 At 240 grit it’s time to sand the edges – this is to take the sharpness off the edges of the wood, especially the fret board. It’s hard to feel like you’re getting very far when you’re just sanding and doing fine-detail work. 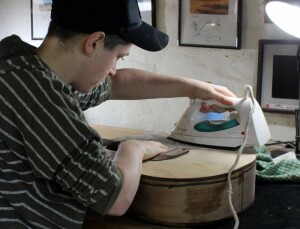 There will be more sanding tomorrow……..
DAY 25 – 12/4/2012 10am-5pm.